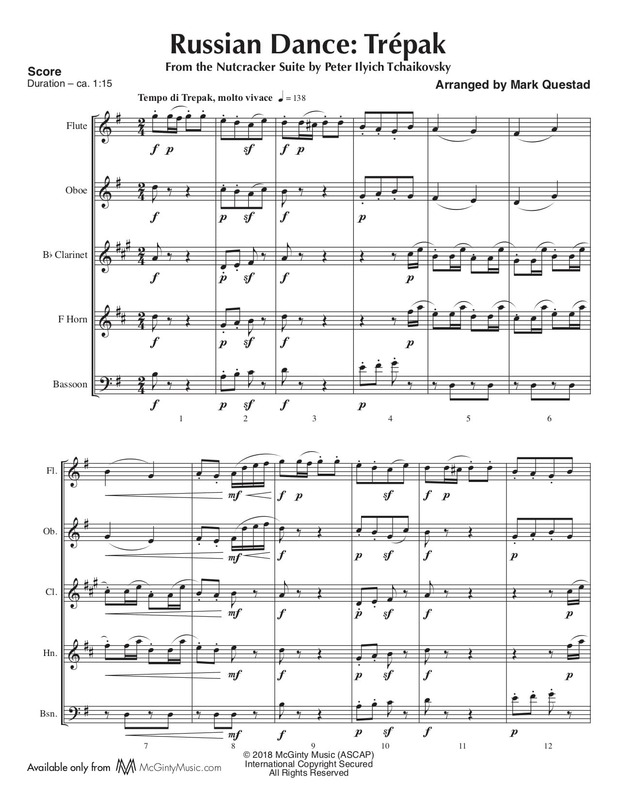 Russian Dance: Trépak – Woodwind Quintet | McGinty Music, LLC. The Russian Dance: Trépak ( Danse russe) is an energetic piece for all the instruments. It introduces Candy Canes in the Land of Sweets, building in excitement and speeding to the end.